These Costa Rica community overviews have been put together by the REMAX Jaco Beach Team. We are committed to helping you find the location an property that best suits your needs. Call anytime to ask us questions or set up a real estate tour. 1-714-369-8133 (from the US /Canada) or 2643-4005 (from Costa Rica). Click here to find an agent. These Costa Rica community overviews have been put together by the REMAX Jaco Beach Team as a real estate guide. My name is Hannah Fletcher, Broker/Owner of the REMAX Oceanside office in Jaco Beach. When I first decided to invest and relocate to Costa Rica I wasn’t sure where to start. Traveling around to get a feel for each area is time consuming and costly and getting information online about Costa Rica real estate can seem a lot like taking a drink form a fire hydrant. 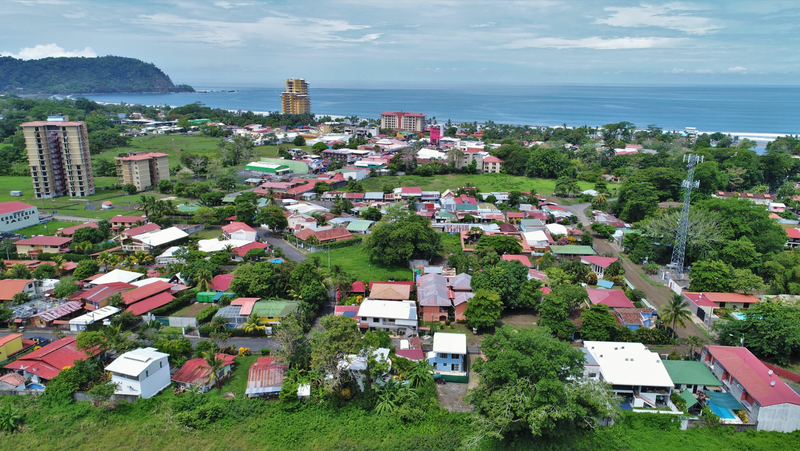 Finding the right Costa Rica town and property for sale or rent can be a daunting task since a lot of time you are choosing between good and even better. I came to Costa Rica in 2000, fell in love and wanted to help the community so I started making plans to move. Looking back I see that I could have saved a lot of time and money with a little more local knowledge. A little be of “Trial and error” and “sink or swim” later and I am very happy to say that Jaco Beach in my HOME. My hope is that this Costa Rica real estate guide and location overview helps a little. I also invite you to let our local specialist and licensed REMAX agents from our Jaco Beach office help you narrow down the search. 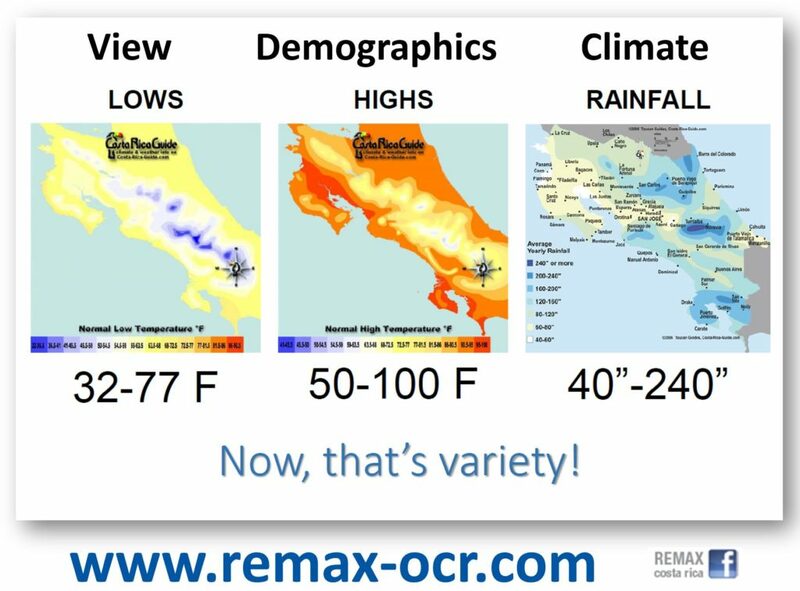 Contact us for a “REMAX Oceanside Costa Rica Real Estate Locations Overview“. We live locally, we know Costa Rica and we understand that everyone definition of “paradise” is a little different. We can help you save time, money and find your special piece of Costa Rica. There is a Costa Rica town perfect for everyone. With some much diversity the options are endless. Tropical and mountain rainforest, Central Valley Countryside, urban Central Valley City living and two coastlines with Beach and Ocean View Property make Costa Rica is one of the preferred ecological and nature hotspots. What do you want to spend your time doing? Activities? Community Events? Hobbies? How close do these things need to be? Will you have a car? Are rainfall and average temperatures important to you? We hope this Costa Rica Real Estate Starter Guide had helped to spark your interest and calm your nerves. With the ocean, rain forest and mountains at your back door and all the technological amenities at your fingertips, Costa Rica is worth all the attention your are giving it. We hope to see you down here shortly. In the meantime, feel free to create your own login on www.remax-ocr.com which will allow you to save your own searches and stay up to date with the market.